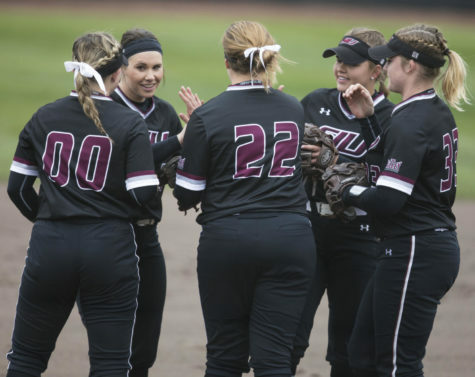 The Saluki softball team got off to a hot start in its weekend series with conference rival Creighton, winning a pair of games Saturday before dropping the Sunday finale to the visiting Bluejays. 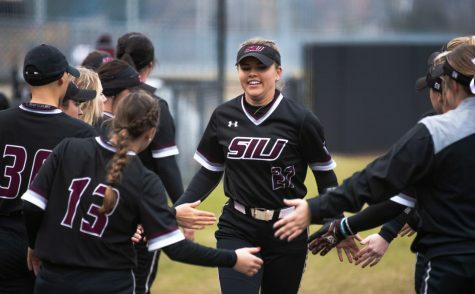 Sunday’s defeat was the first conference loss for SIU, and head coach Kerri Blaylock said it could have been avoided if the Salukis had handled themselves better on the field. 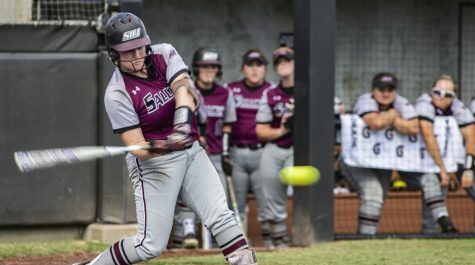 Sophomore first baseman Taylor Orsburn started up the powerful Saluki offense in game one with a second-inning home run down the right field line that flirted with the foul pole before clearing the wall. An inning later, Orsburn hit another round-tripper. This time, the ball was gone from the moment it left the bat, straight to dead center field. The pair of homers were Orsburn’s first of the season and led the team to a 10-4 win. 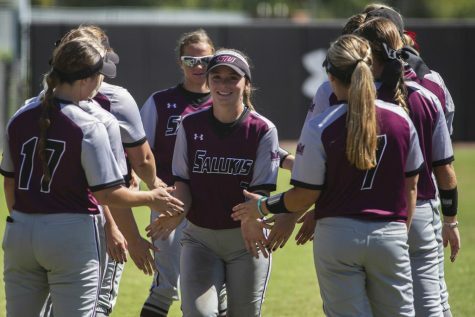 The Salukis (17-8, 5-1) carried that positive momentum into the second game, winning 17-8, paced by five runs batted in by sophomore second baseman Jayna Spivey. 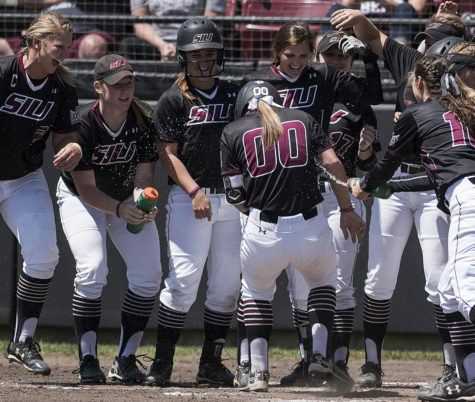 Sunday’s final game of the series started with a continued offensive outburst by SIU. 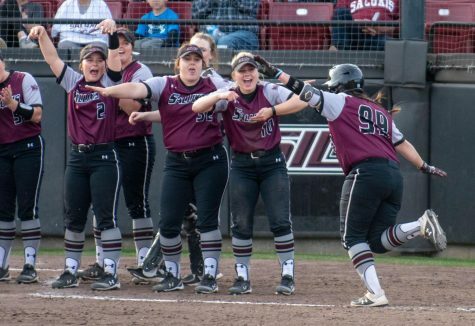 Senior center fielder Mallory Duran-Sellers led the game with a home run, while Spivey hit a three-run-shot of her own to give the Salukis a 4-0 lead. 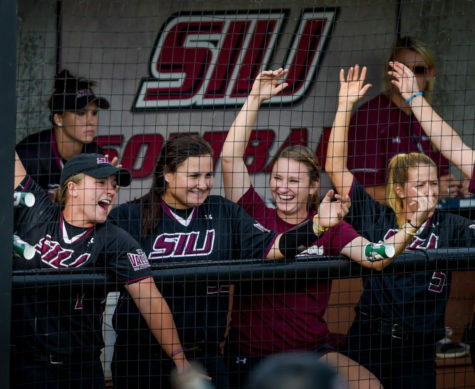 Heading into the sixth, SIU held a 6-3 lead and appeared to be cruising toward a sweep of the series. Creighton had been struggling to hit freshman pitcher Alyssa Wunderlich all weekend. 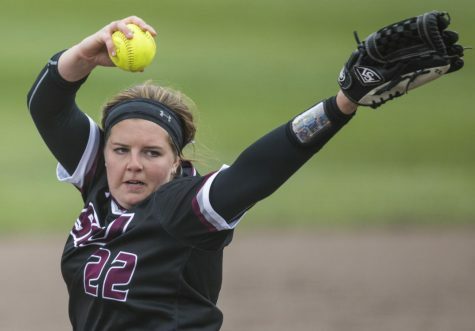 She had earned a win in the first game and appeared to be on her way to a second. 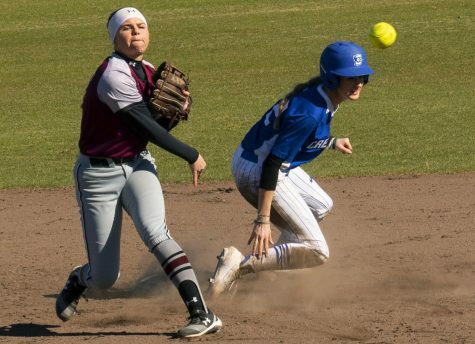 A two-run Creighton home run followed by an RBI double-tied the contest, and in the final inning the Bluejays took the lead on an RBI single from first baseman Alexis Cantu. 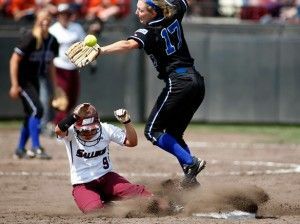 Although Orsburn reached third base in the bottom half of the inning, the Salukis were unable to hit her in, which resulted in the loss. Wunderlich said she lost focus as the game went on and Creighton’s hitters became more accustomed to her pitches. Although the series ended on a sour note, Orsburn said she is confident for the team’s progress this season.